Students at Coromandel Area School are fighting to save New Zealand’s declining whitebait population through extensive planting of natives and wetland plants. 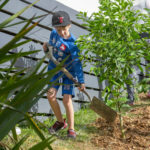 Thanks to a $10,000 grant from TREEmendous, a joint initiative between Project Crimson and The Mazda Foundation, the school was able to create a ‘natural corridor’ alongside the spring that runs through the school’s grounds which will protect whitebait eggs, helping to preserve the species. Previously neglected, the spring had become overrun by exotic and invasive weeds which were making it difficult for the precious native flora to grow. After local elders explained that inanga, the smallest species of whitebait, used to travel up the spring from the estuary, the school was determined to revitalise the spring to help save the species which is at risk of extinction. Over the weekend the school staff, local community members, the Mazda Foundation and the Project Crimson team, worked together to create a ‘natural corridor’ along the border of the spring to help purify the water and allow aquatic animals to thrive once again. Inanga is the only species of whitebait that can’t climb barriers, which means that creating an environment they can survive in is difficult. The ‘natural corridor’ will protect inanga eggs by acting as an umbrella during the day and a blanket at night. 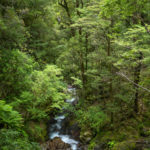 Koren Hopoi, Principal at Coromandel Area School, says inanga hadn’t been seen in the stream for several years. The school is actively transitioning into regenerative education with environmental, cultural and social responsibility at the core. “We are actively weaving these skills and practices throughout our curriculum, as we recognise the importance of the environment to human health and well-being, particularly in young people. The TREEmendous event was a great way to show students first-hand the importance of taking care of our natural environment,” she says. Mazda Foundation Chairman David Hodge says it is inspiring to see young people taking action. As part of the TREEmendous event the students were treated to a visit by Ruud ‘The Bugman’ Kleinpaste and Riley ‘The Sharkman’ Elliott. Ruud and his insect friends spoke to the students about native bugs and the importance of looking after them, while Riley explained how he overcame his fear of sharks and how we can take better care of our oceans. After a hard day’s work which resulted in the planting of 600 native plants, the whole crew was treated to a BBQ thanks to the 180 sausages provided by the local Four Square. 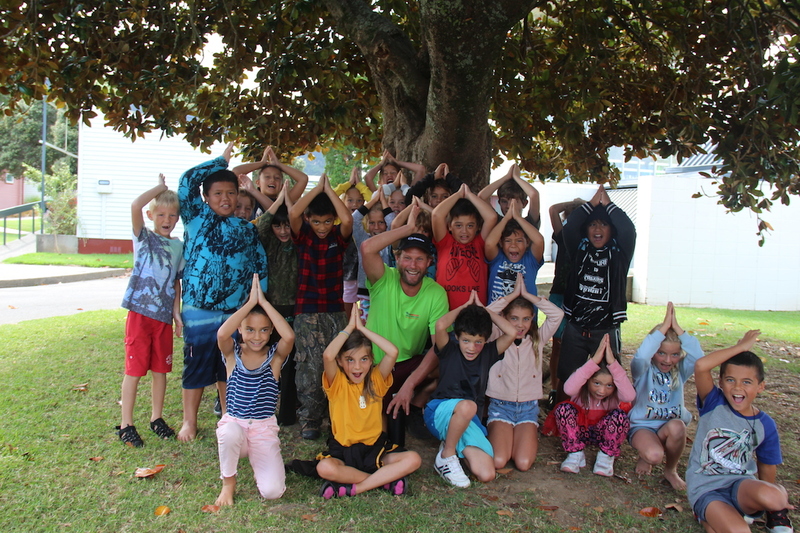 Check out the photos and video of Coromandel Area School’s TREEmendous School Event. Coromandel Area School is the first school to be visited by the TREEmendous team this year, with Konini School, Hukerenui School, Te Uku School and Aparima College up next. This event marks the 45th school to get the TREEmendous treatment in the last 11 years!